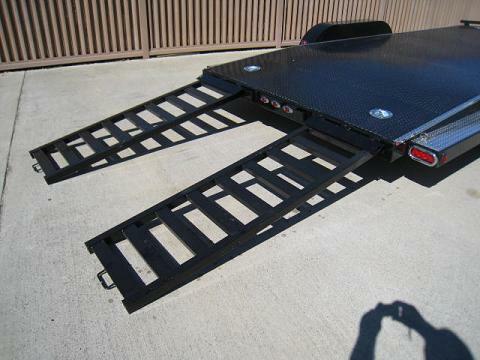 NEW "CHALLENGER" by 102 Ironworks - - the "Ultimate" Diamond plate steel bed open car hauler trailer. 60" Triple Tongue w/flip down jack. 2" Bulldog coupler w/safety chains. Tandem 3500lb Cambered Axles, spring suspension. Electric Brakes on rear axle. 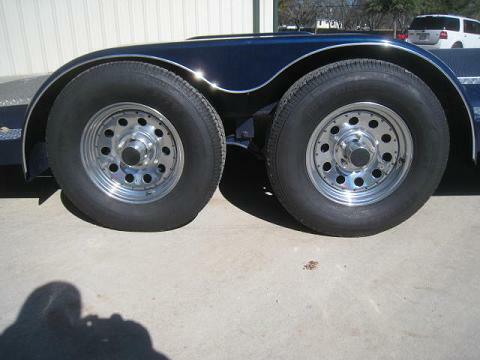 New 15" Trailer rated ST205/75R15 6 Ply Radial tires on Silver e-coat 15" 5 Lug bolt pattern Silver Mod wheels. 5" Main Tube frame and Tongue. 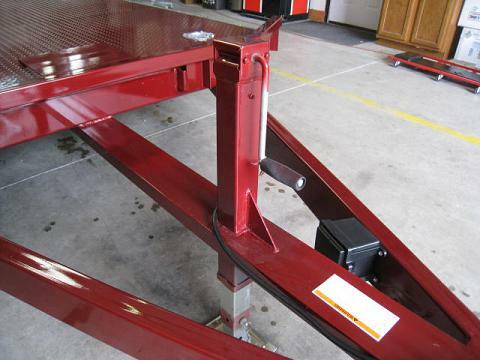 3" Tube Cross members, 16" on center..
Full 1/8" Steel Tread Plate floor (bed) 83" Wide. Top outer edges of bed trimmed with aluminum tread plate angle. 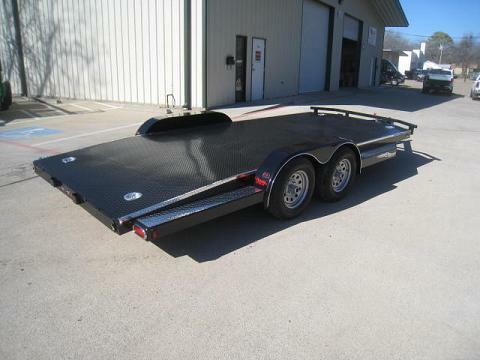 Trailer is primed on top and bottom, Undercoated on bottom, Finish coated on top w/ two coats of Acrylic Enamel paint. Choice of about 10 colors. Bump rail on front of trailer. 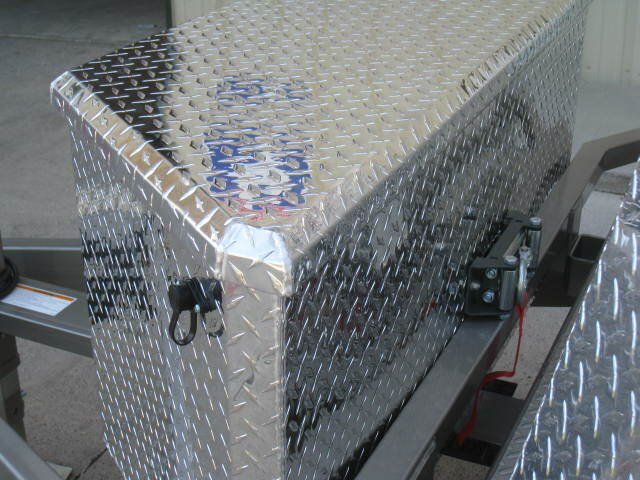 Steps in front of and behind fenders covered w/ aluminum treadplate. 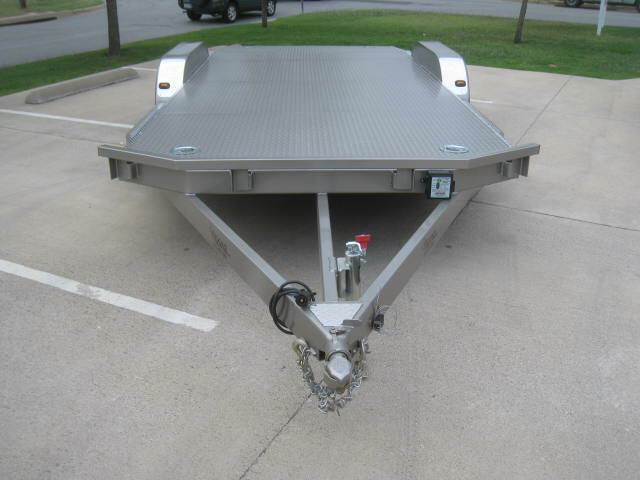 Teardrop fenders have aluminum tread plate rock guards on front, plus recessed marker lights on front and back. 4) 6000lb rate, 360 degree rotating D-rings in floor. 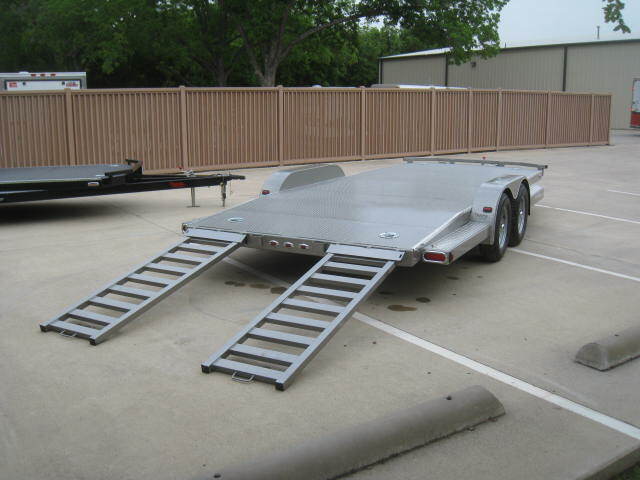 Rear entry slide in ramps which are 22" wide x 70" long, are constructed from tube steel for extra strength and convenience. 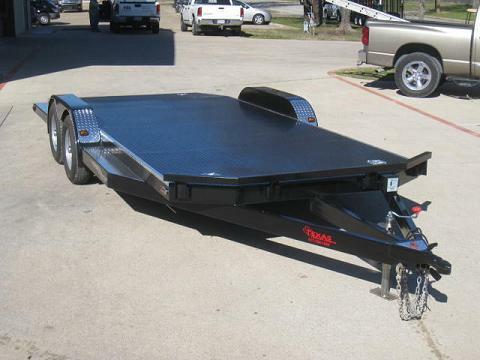 Ample Deluxe LED lighting makes the trailer stand out at night. 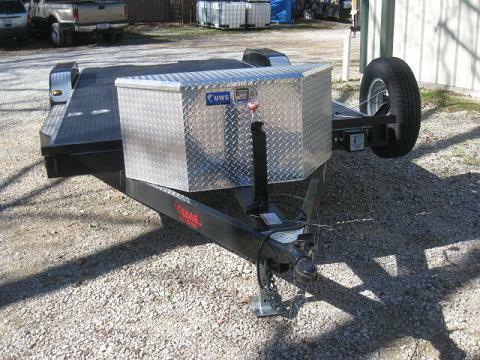 As equipped above .. . .
18' $ 4395. $ 4995. 20' $ 4550. $ 5150. $ 5925. 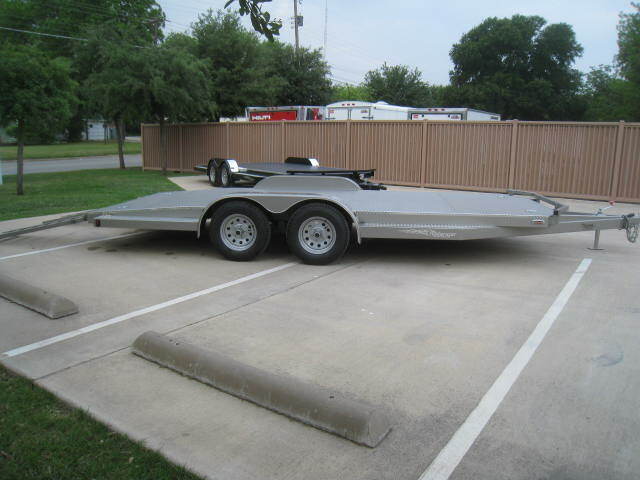 24' Not availables $ 5770. $ 6595. 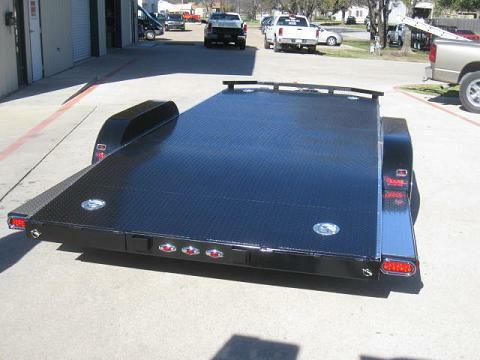 We can custom build one for you. 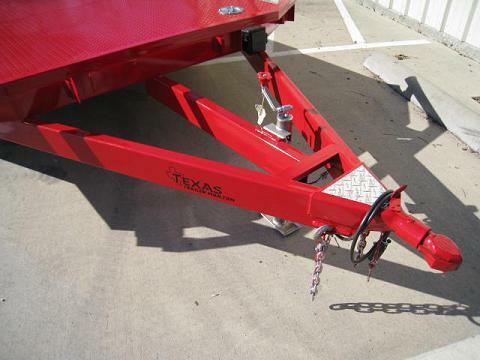 Some of our advertised pricing may reflect items included on a trailer that are actually options. 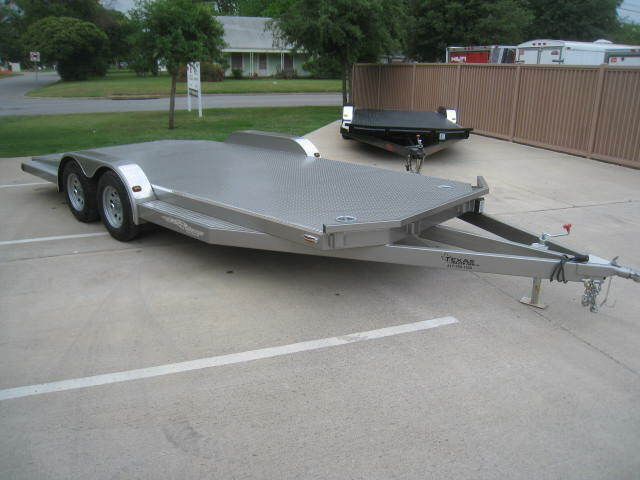 The base prices shown here are for our basic trailer before any options are added. 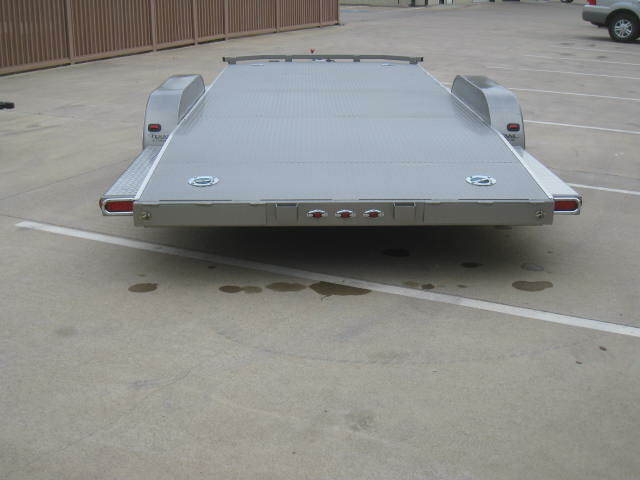 Please ad any options to the base price to get total price of trailer. If you are a Texas resident, a dealer must collect 6.25% vehicle sales tax, a Texas Title fee, Road & Bridge fees and License Tag fees. This will all be added to the selling price of the trailer. Out of state buyers are responsible for paying the appropriate and necessary sales taxes and fees in accordance with their state requirements.